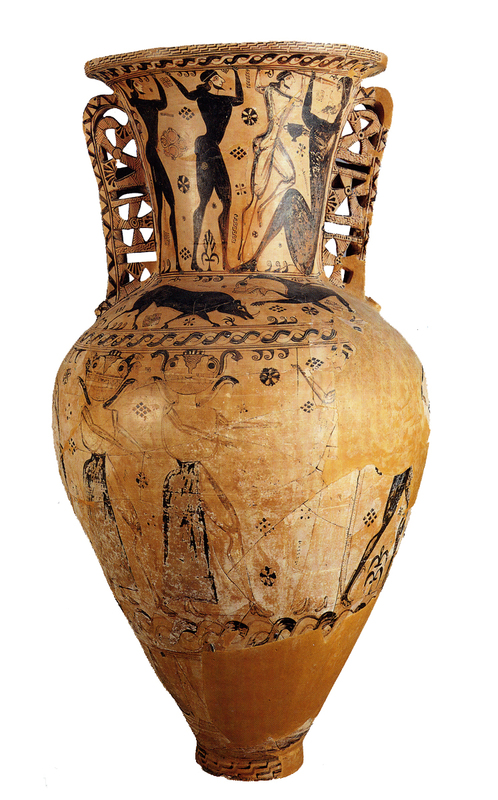 Function: funerary (contained skeleton of small child buried at Eleusis). 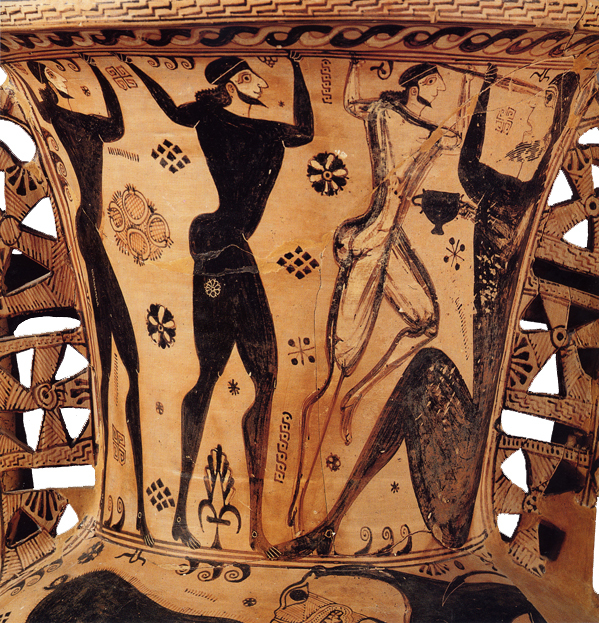 Decoration: giant Polyphemus, holding a drinking cup, is blinded by Odysseus and a companion (neck), lion confronts a boar (shoulder), decapitated Gorgon 'floats' behind her two sisters who flee Perseus (body). Analysis: large size, two-dimensional 'snakes' (now rendered as a cable pattern), fretwork handles and figure decoration on one side only suit use as a coffin. 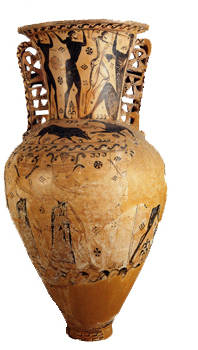 Homeric myths, mixed and rather crude techniques, and copious filling ornament confirm a mid 7th c date.